In a country where "hot hatchbacks" are rare, the Volkswagen Polo GT TSI appeals to the heart, and to the child inside you. We spent a weekend driving it around town, and this, without doubt, is the sportiest hatch you can buy in India. Volkswagen’s first effort with the Polo in India was an understated one, to put diplomatically. While expectations initially hoped for the 1.2L TSI engine with 105PS, the first generation Polo got the naturally aspirated 3-cylinder 1.2L engine, which was nowhere close to the 105PS TSI that was doing rounds globally at that time. There was a bigger 1.6L engine offered on the more expensive Polo version, which was closer to what was expected in the first place - 105PS. This performance hatch was in the market for a while, but VW took it off the offering list sometime back. It became clear that the company was focusing its energies on fighting with the rivals - Maruti’s Swift and Hyundai’s i20 primarily, both in terms of price, the numbers and to appeal to the sensibilities of a wider demographic of buyers. And, the scenario looked rather bleak for hatchbacks - it seemed they were just meant to be affordable and practical, focusing on low fuel consumption with tiny engines. But things have changed again! The Polo now gets the GT badge, and the direct injection, turbocharged TSI petrol engine. Despite being a smaller unit, it outputs as much power as the 1.6L - 105PS. Along with that, the car also gets a segment first DSG gearbox, which is essentially a dual-clutch 7-speed automatic box. Volkswagen sent us the car for a weekend, and we drove it around over the weekend to experience what the performance felt like, how the DSG performed and how the GT feels in general, in various traffic scenarios. We are basically giving you a driver’s view of how it feels to be driving this car, and not bogging you down with complicated numbers. In essence, we are taking away all the technical jargon and numbers, and getting down to the actual drivability and the performance of the car in relation to that. Can it overtake an obstinate fellow motorist at the drop of a hat? How does it drive in stop-start traffic? Can I drive it over speed-breakers without the risk of the underside scraping the road? We attempt to answer these questions as simply as possible. And of course, we also analyze the visual aspects, both inside the cabin as well as the exterior. Since we are technology people first and foremost, and car lovers a close second, we wanted to check out how the DSG gearbox works. The “fluidic” design theme that Hyundai uses on its newer generation vehicles is often called European. You might be led to believe that all European cars have the flowing, curvy design. However, the Polo is the shining example of what is the other side of the design coin. This is as European that a car gets, and the design philosophy is as far from the flowing theme as it can be. The GT and TSI badges on the C pillars on either side and on the boot lid. Interestingly, nowhere on the car is the "Polo" branding! You will be forgiven for not specifically noticing the GT TSI, because it looks pretty much like the standard VW Polo. 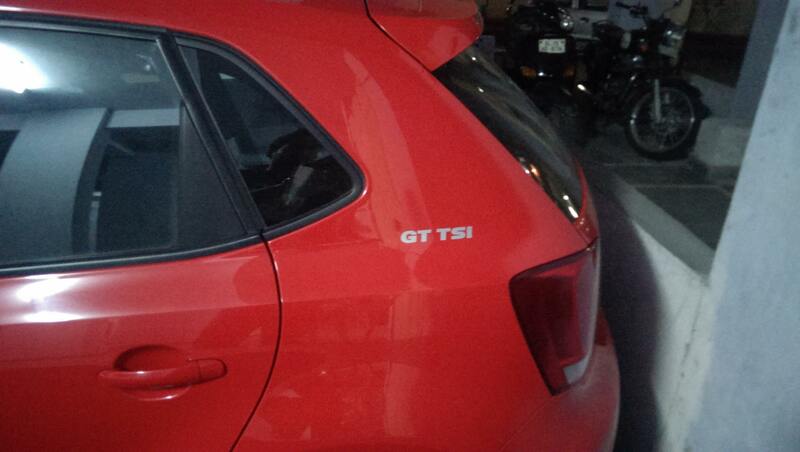 Except for the GT badging on the front grille, and the “GT TSI” branding on the C-pillars and at the back. Interesting to note is that the boot doesn’t get any Volkswagen or Polo badges, as on a standard Polo. It is almost as if VW wants to keep away the Polo branding for this vehicle, and go with the GT instead. Still, you cannot look away from the fact that this looks like the standard Polo, whichever way you look at it. The German focus on understated design means that a hot car such as this doesn’t roll off the production line screaming with racing stripes, side decals or a sticker effort - something that works well in keeping the potential power and performance under wraps. 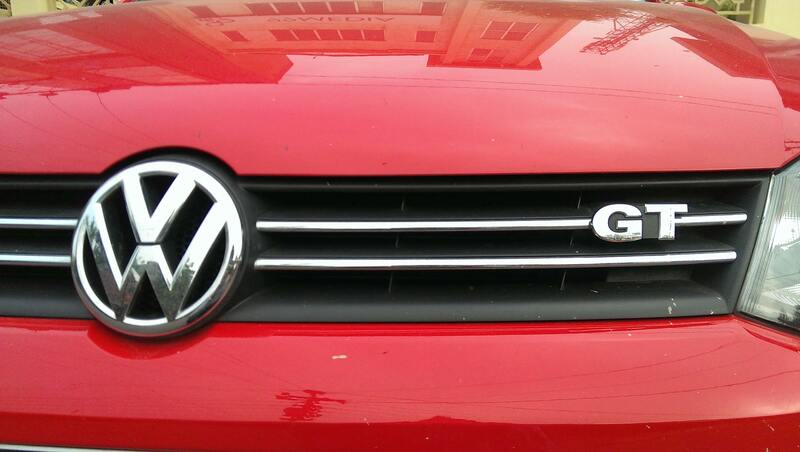 The front grille gets a redesign, and the GT badge, to set it apart from the standard Polo. We understand the wider demographic appeal that Volkswagen is hoping for, by the restrained design. However, we would have liked to see something set it apart from the standard Polo - probably a sportier set of alloys, for example. Side skirts are something that cause more problems because of reduced ground clearance in the long run, but possibly more aggressive looking headlamps and the light cluster at the back may have given this a little more personality. But, to be honest, we are just nit-picking here on how we want the car to look. But, simply put, Volkswagen has done a very good job with the understated aggression and the subtle GT branding, and that in itself is something that must be appreciated. The low stance of the Polo adds to the sporty feel. 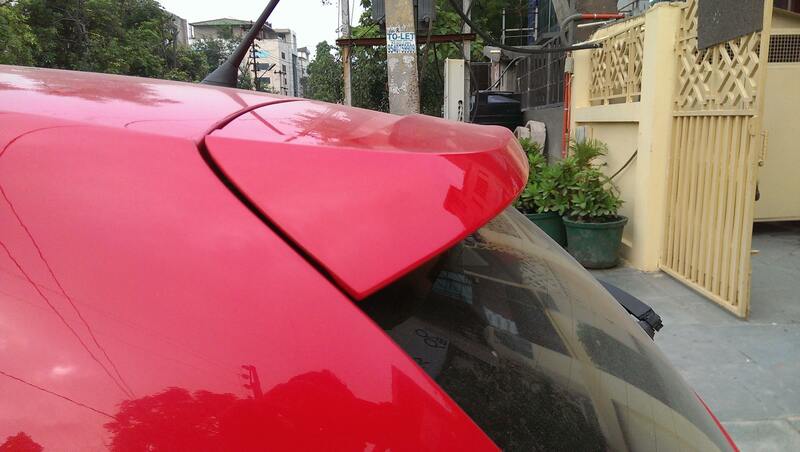 In the picture on the right, you see the rear spoiler. The Polo has always had a low-slung stance, with the rear spoiler standing out while looking at the car from side on. The roof looks like it is lower at the back, which technically isn’t the case, but more of the visual trickery because of the smaller windows. It is a well sculpted design, with the slightly bulging wheel arches blending in well with a sort of edgy design on the doors and the pillars. The wrapped headlights and the rear lights cluster is all about straight lines, unlike the Hyundai i20, which focuses more on curves and smoother blends between elements. The stance is one that gives the GT TSI a rather youthful look. Up front, the grille sees a redesign, when compared to the standard Polo, with the addition of the GT badge. 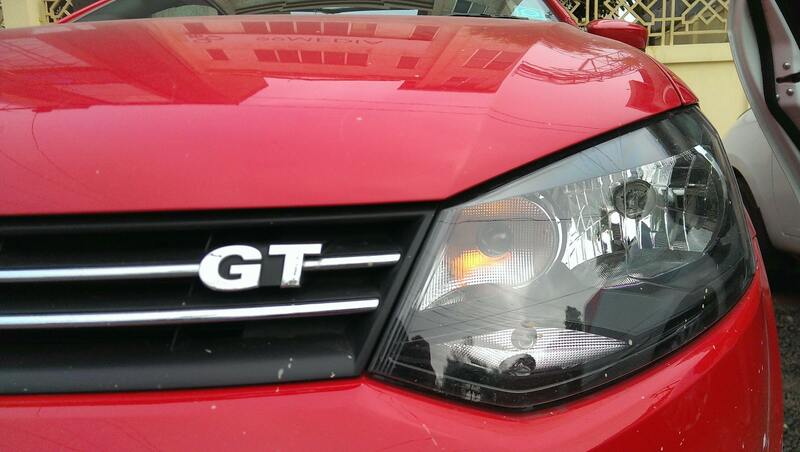 The GT TSI gets fog lamps, and the rear windshield wiper and washer and rear parking sensors as standard. Grab the door handle and get in, and the first thing you will notice even before you have placed yourself in the drivers’ seat are the heavy doors, which give a rather premium and resounding thud when closed. The grip inside for opening the door is more like that of a sports car, rather than a groove on one of the extensions on the door. The sporty door grips on the left. The heavy doors give a rather solid feel. The leather wrapped steering on the right, adds to the premium feel of the GT TSI. Even though I am a fairly tall person, getting in and out of the car is rather comfortable. In the driver’s seat, the steering wheel stays well out of the way, till you are comfortably in the seat. This can be adjusted for height, which is useful depending on how high or low you may be sitting. Speaking of which, the leather wrapping adds to its thickness, and a chunky grip of the steering wheel is indeed very good. The GT TSI gets all the stuff that you will get as standard on the Polo Highline trim, and that includes the two-DIN audio system, climate control, the Bluetooth connectivity for pairing the phone, steering controls for phone management and music playback and electric rear view mirrors. While most of the stuff is fairly standard across most top-line versions of the rivals, it is the build quality that makes the GT TSI stand out in the crowd. Since I have been driving an i20 for a few years now, it is easy to compare between the two. With the i20, you get the traditional instrument cluster, looking through the steering wheel. However, the one info display sitting in the middle of the dash, at the top, is something that one can easily get used to. 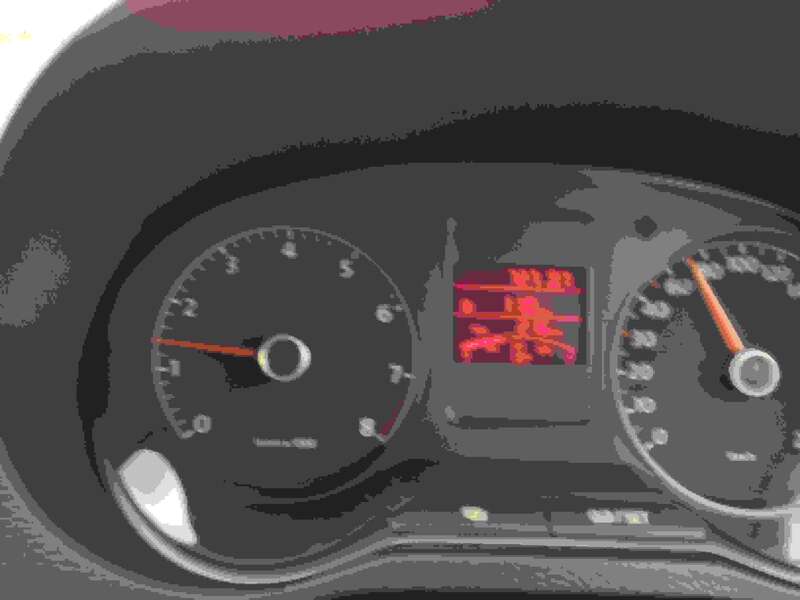 The i20 shows the music playback details, the clock, outside temperature and the Trip meters on that display. Why it's something you find comfortable and addictive is because the placement is not much farther away from your general eye level while driving. The Polo’s design follows the more traditional layout, with the all the car and driving related displays on the primary instrument cluster and the music system getting its own display. 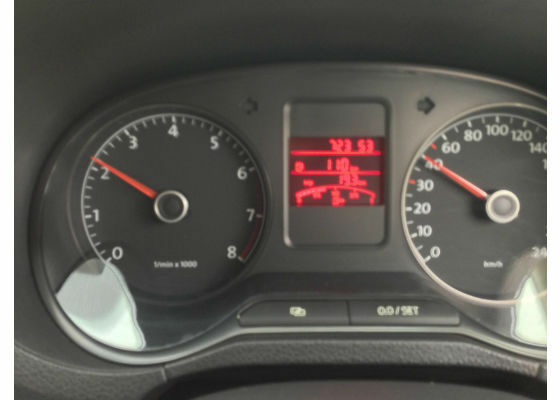 The speedometer and the RPM meter get various illuminated LED’s within them - Parking brake illumination, brake press status, Electronic Pedal Control, Door open warning, Airbag status etc. Another multi-function display cluster sitting between these two shows the time, fuel status, trip meter and most importantly, the gear currently deployed. There is absolutely nothing wrong with how all these displays are laid out in the Polo, but having gotten used to the more spread out structure of the i20’s dual displays, this looks a tad overwhelming at first. There is just so much information, and initially, till you get used to the vehicle, your eyes will end up searching for stuff. But, like we said earlier, this is the more conventional display method, and is very much functional. Slightly old school, particularly when you would expect something funky and cool from a hot car! The Instrument console on the left. The quality of materials used in the cabin are high quality. The quality of materials used is absolutely fantastic. Look wise, the dual tone finish looks fairly standard - on the lines of what the rivals offer. However, the quality of materials and the way they have been put together is what does justice to the German roots. Over the harshest of bumps and the worst roads, there is absolutely no rattling from the dash, the pillar or any of the doors. Even the best built vehicles in this segment cannot honestly boast of that goodness. Even the floor mats, above the carpet, are the cloth type which exude a very premium touch. Around you, there will be a lot of spaces to keep stuff - phones, a can of Sprite, bottle of water and for those who smoke, a packet of cigarettes. The center space running along between the two front seats have two deep can / glass holders ahead of the gear. However, you may have to be a tad careful with liquids, because the center console where the climate control sits tends to get in the way at times. There are two very usable thin spaces both sides of the hand-brake, for keeping your phone, hands-free, box of TicTac, coins etc. The space at the back, however, isn’t deep enough to hold a glass or a can with any liquids. This means, while the rear passengers get the space in each door for a bottle of water, there is nothing in the center console for them, literally. In the i20, you get a rather deep and wide space here, for at least one rear passenger’s can of Diet Pepsi! Lots of space within the car to keep your stuff. The center console could have done with better design though, primarily deeper spaces. While this is a driver’s car and it is most likely you will remain there to actually enjoy a car, we need to focus on the passengers who may, sometime, be the occupants of your vehicle! With the front seat pushed fully back, the legroom for the rear passenger is acceptable. Two can sit comfortably, but three will be a bit of a stretch, particularly because the hump running down the middle means there will be literally no legroom for the passenger seated in the middle. The roof does tend to slope down at the back, but headroom will not be a problem. The smaller side windows, however, do mean that there is less light coming in, when compared directly to the i20. The seats also get the dual tone colour finish, and the textile and stitching on them is rather neat. The design is comfortable for long drives, and even the rear seats get good lumbar support. The only complaint I have is that the backrest on the rear seat is a tad too upright for long drives, and the human tendency of slouching deeper into the seat as time passes, will happen quicker than usual. Music System: A delight, from the factory! The two-DIN audio system, contrary to what you would expect in most cars, is an absolute delight. It is a general trend for some fanatics to run straight to the accessory shop and get an amplifier and a sub installed in a new car. However, if you aren’t that finicky, you will be delighted with the quality of audio the factory installed speakers provide. We don’t have the details of the exact configuration of the speakers, but the RCD 320 music system has USB connectivity, an SD card slot, AUX-in port and Bluetooth for connecting your phone. The GT TSI gets an excellent music system - functional, lots of connectivity options and very good sound quality. To be honest, I really like the factory fitted speakers in the i20, and the ones in the Polo just takes two steps ahead in terms of quality. For vocals, the clarity is excellent. The mid frequencies are more than present, to give the tracks the wholesome feel that most speakers miss out on by being too treble biased. You will not feel as though you are listening to a bunch of speakers that were made for the specific purpose of ticking the specifications list. A lot of thought has gone into making this a rather neat option. The biggest surprise though, is the bass. The amount of thump this provides on most tracks, when the LFEs are present as a major part, is just unbelievable. When you pay so much for a car, it is small thoughtful things like this that make all the difference. DSG gearbox: The most fun auto-transmission ever! Polo GT, in what is a segment first, gets a 7-speed DSG gearbox. But, it is not just about the numbers, that is impressive. The Direkt-Schalt-Getriebe (Direct Shift Gearbox) is basically two gearboxes in one, working alternatively - two clutches, two shafts and the ECU that manages gear shift depending on speed and throttle position. 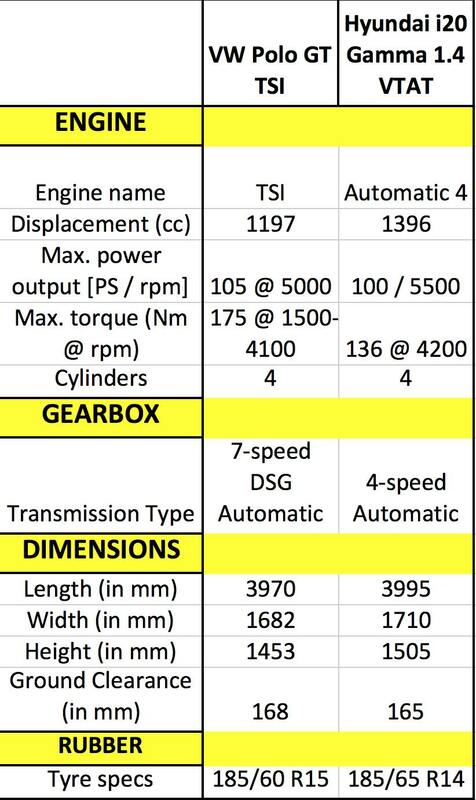 Most normal automatic transmissions carry all gears on one shaft, but DSG runs gears 1st, 3rd, 5th and 7th on one shaft, while gears 2nd, 4th and 6th run on the second shaft. The dual clutch setup offers the benefit of quicker shifting because the inactive clutch estimates the movement speed and throttle input and is ready to engage the gear next in line. There is less lag between gear shifts, as compared to a single shaft setup where the clutch has to disengage one gear, select the next gear and re-engage. Till now, the much more expensive cars - the likes of the Skoda Laura and the Volkswagen Jetta featured the DSG gearbox. 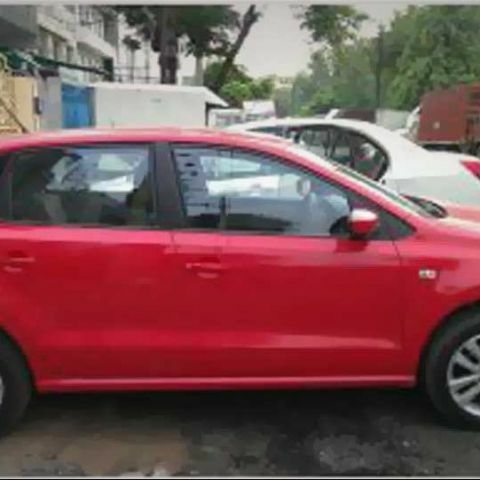 The Polo GT TSI is the first hatchback in India to get DSG. The 7-speed automatic gearbox is much more fun than any other automatic transmission this side of Rs 10 lakhs. The GT TSI gets the 1.2L four cylinder engine, and the power it outputs is equivalent to the 1.6L engine seen in the previous generation Polo. Volkswagen says “TSI technology blends the best of our TDI diesel and FSI (Fuel Stratified Injection) engines.”. The benefits of the newer engine include enhanced acceleration, better fuel economy and is lighter than the previous 1.6L engine. This 1.2L engine rated at 77kW is the latest addition to the TSI family. The direct petrol injection with the turbocharger enhances combustion efficiency, providing more power output without having to make the engine itself bigger. This particular plant has 105PS and 175Nm torque. Before we get down to the actual driving experience, it is important to first get comfortable in the driver's seat. The viewing all round from here is very good overall. The windscreen allows for a good view of the road, and the fact that you can adjust the seat for height means even not very tall people can sit higher up for better forward vision. The outside rear view mirrors (ORVM) provide good view down both sides, to a fairly wide angle. Between these mirrors and the ones on the i20, it is almost neck and neck in terms of how good they are in capturing as wide an area as possible. The A-pillar doesn’t impede on viewing, and even the most sudden arrival from one of those sides will be seen by the driver well in advance. However, there is just one niggle that is worth mentioning. The inside rear view mirror’s view is impeded by the two headsets on the rear seat. You can only see through the rear windshield between the two headrests, with the low roof and the small-ish glass size being the contributing factors. This is something the i20 has a huge advantage in terms of viewing out of the car. Not to say that you cannot see out of the GT TSI properly, but the rear headrest issue needs to be resolved at the earliest. Because there were a couple of times when we felt that there was a two wheeler somewhere in the blacked out area - blocked by the headrests, and not exactly visible via the outdoor mirrors - and in reality, there was actually someone there! The ORVMs offer good viewing, and get the electronic adjustment. Once you are in the driver's seat, there is a lot of gadgetry for you to play with! The image on the right shows the steering mounted controls for media playback, as well as for using the phone when paired to the system via Bluetooth. The two pedals - the brake and the throttle, get the aluminum treatment, and that gives it a very premium look as well. As far as numbers go, it is a 1.2L engine. But the power it generates is very similar to the 1.6L engine from the previous Polo, in terms of horse power. But, the TSI engine generates a lot more torque. And if you aren’t one who has the ability to feather-touch the throttle, we urge you to stay away from this car! Because anyone you may be following in heavy traffic, will be at serious risk. There are two modes for driving in - the “D” mode and the “S” mode. The D is the standard Drive mode, which balances performance with fuel economy by shifting up as quickly as possible. This is the perfect mode for in-city driving, and even on the highway, When you may want to overtake. But, this mode isn’t the quickest to respond for a sudden burst of speed, because the quicker upshift means this is in a slightly higher gear. The S mode, lovingly called the Sports mode, redlines almost every time, before shifting gears. Meant for enthusiastic driving, and even at lower speeds it revs a lot more, because it stays in the lowest gear possible without damaging the clutch. This is the mode designed for the track, or when you need to really blow off some steam with no concern for fuel economy. 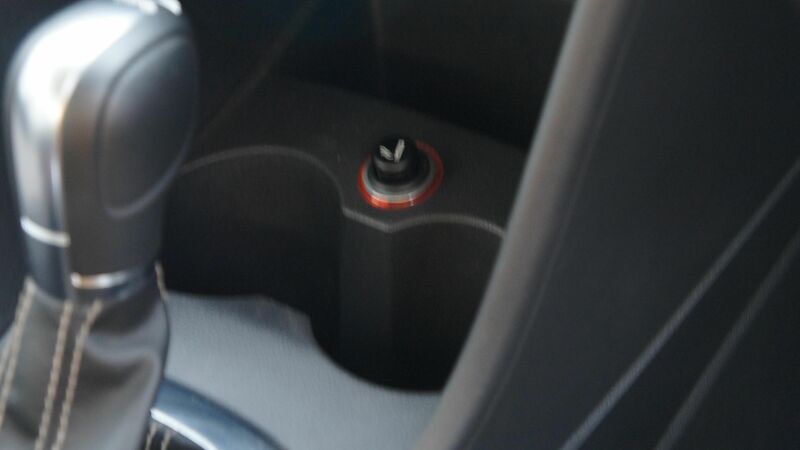 There is also the tiptronic mode, that brings in manual shifts with the automatic gearbox. But honestly, with something as good as the DSG to take care of the gears, we wouldn’t even bother with the manual mode! The biggest difference between the D and the S mode would be illustrated by these two slightly off pictures (apologies beforehand - can’t set a frame when at the wheel, if you know what we mean! ), which show the speed and the RPM. On the left is the one in D mode, and on the right is the one in S mode. Let us start by taking about the performance in heavy traffic, the typical rush hour stuff on the way to work and back. There is very slight, almost negligible turbo lag only at certain cruising speeds, and for the most part, the lack of lag is a great asset when you need to move as quickly as you need to stop soon enough. Take your foot off the brake and the car moves forward. Do this release a tad too quickly, and the GT surges forward quite rapidly. Like we said earlier, finesse is the order of the day, at least initially. Once the forward movement has happened, slightly press the throttle, and the power at even the lowest of RPMs is more than evident. The DSG gearbox has the clutch protection system that prevents the engine revs from going above 1200rpm when launching from standstill. But, despite that limitation, you do not feel any sluggishness whatsoever. Shifting to better roads, and by better we mean less populated, that is where you really get your money’s worth in the Polo GT TSI. The acceleration is fairly linear in D mode, and you even get the acceleration grunt when you want to accelerate from 70km/h to 90km/h. This is where the 7 gears really show their mettle. Trust us when we say this - press the throttle at around 70km/h to tell the car you need to speed up, and you speed up quite rapidly, the fact that you get pushed back a bit in your seat is the biggest indicator the car is responding in the way it knows best - with power! At the point of getting to 70km/h, the GT TSI’s acceleration is fairly rapid, and very smooth. Unless you are feeling for it with intent, you will not realize when the DSG is shifting up. No, looking at the RPM meter would be cheating, and we are taking about sensing the pure response of the car! The GT TSI accelerates in a straight line and holds its line effortlessly when cruising constantly even at close to 100 km/h, even though you may be doing this a tad exuberantly, on a surface that is slightly wet, and that says a lot about how the suspension has been set up. For a hatchback, the balance between being comfortable and sporty is hard to find, but the GT seems to have come quite close to that. All in all, this car shuffles rather rapidly, and unless you are careful, you could end up going too quickly in a place where you shouldn’t be! And for a car that isn’t very heavy, the GT TSI has amazing road presence and grip. Chuck it into a turn at more than the sensible speed, and the tires provide the necessary grip. Yes, this is a front-wheel drive, and that itself has limitations, but at all points within the boundaries of what is sensible, the GT TSI handles brilliantly. The steering, at low speeds, is delightfully light. The only grouse that I have is that it doesn’t quite have the precision or feel that you would expect. It is more a case of turning the wheel more in hope than anticipation, but it is possibly just because it takes time to get used to how the steering responds in different cars. But, we must specify that this is only a niggle up to speeds of 20km/h, because beyond that, the steering gradually tightens up and the precision and response is much closer to what you would anticipate. At no point will there be any unwanted surprise waiting for you in terms of the steering or the grip levels. All in all, we were delighted by the performance the GT TSI offers. It is a driver’s car, something most affordable automatics aren’t, and quite frankly, we loved the way it handles overall. This is one car that will not let you down, whether you are driving like a normal human being, or when you may suddenly transform into someone who wants to get to the next traffic signal in under 10 seconds! Not that we are suggesting that you do! The brake pedal and the throttle. Both need feather-touch at first, till you get used to the power they both possess! Brakes: With great power comes great stopping power! With great power comes great responsibility. In the case of the GT TSI, it is more about with great power comes great stopping ability! The brakes on this car are phenomenal. You could be driving at 20km/h, and you will be at 0km/h in almost no time, with the only reminder being the sudden forward push that you got because of that! We must praise Volkswagen for the quality of brakes on this vehicle, and it is truly something this car needs, considering the amount of power you have under your right foot. A word of advice for anyone shifting to this vehicle - get used to the brakes and the stopping distances before getting on to a busy road, else the person driving behind you might be at the risk of getting the shock of his life. The TSI engine, even when revved, is fairly smooth and doesn’t really have a soundtrack to it. Not that we mind, particularly not when the car could be doing that at the cost of fuel mileage. 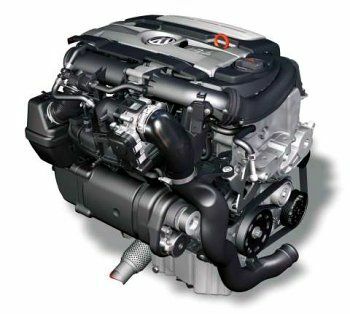 The TSI engine is very refined, and fairly silent. In the D mode, at 90km/h, the cabin is as silent as a church. Despite these being factory fitted rubber, there is no roll noise from the tires, which is not something a lot of cars can claim. Very comfortable ride overall, and the fact that the cabin is silent for the most part adds a huge chunk towards that. 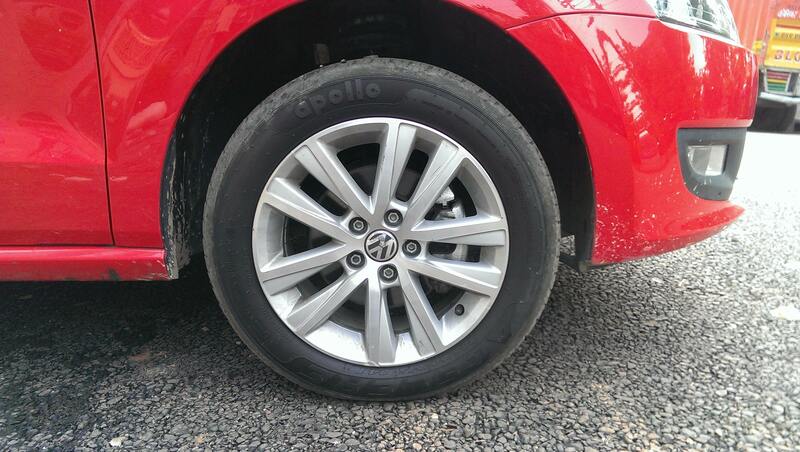 For factory fitted stuff, the Apollo rubber is surprisingly silent, even at high speeds. In the more spirited S mode, quite a bit of noise filters in to the cabin, and you know this is the Sport mode. The answer to this question is rather simple - if a powerful and comfortable hatchback is what you are looking for, the VW Polo GT TSI is the one for you. Not to be confused by the standard Polo, this one is totally worth the GT badge. The thing is, it ticks all the right boxes - performance, technology and build quality. To be brutally honest, this hot hatch doesn't really have any competition. 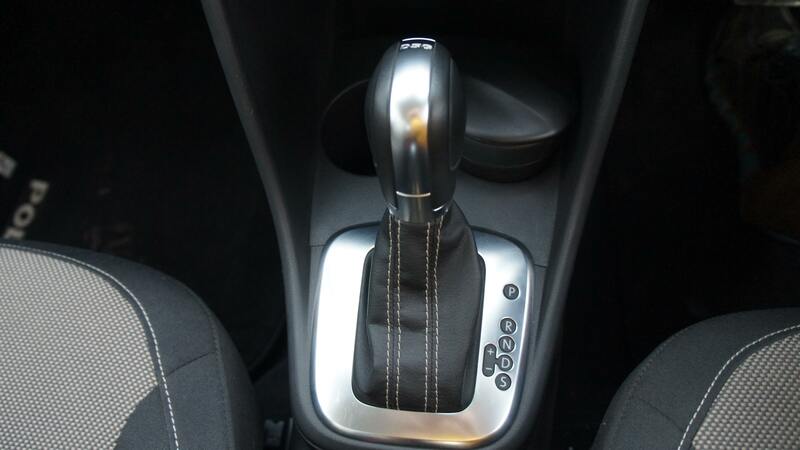 The Hyundai i20 AT, for all its positives, cannot compete with the 7-speed DSG transmission at the moment. People have been asking me this ever since they got to know I am driving this around, so lets just get it on record - personally, if I had Rs 8 lakhs to spend, I would have added this to my garage at the drop of a hat. There is no doubt about that. And that does lead to the point of the price. In a market like India, hatchbacks are usually considered worth spending around Rs 5 lakhs on, at the max. Yes, the likes of the Polo, the i20, the higher spec versions of the Maruti Swift and some others have extended that virtual ceiling that people have in their calculations. Mostly because hatchbacks are considered a budget vehicle, meant for a specific purpose without the intent to thrill. 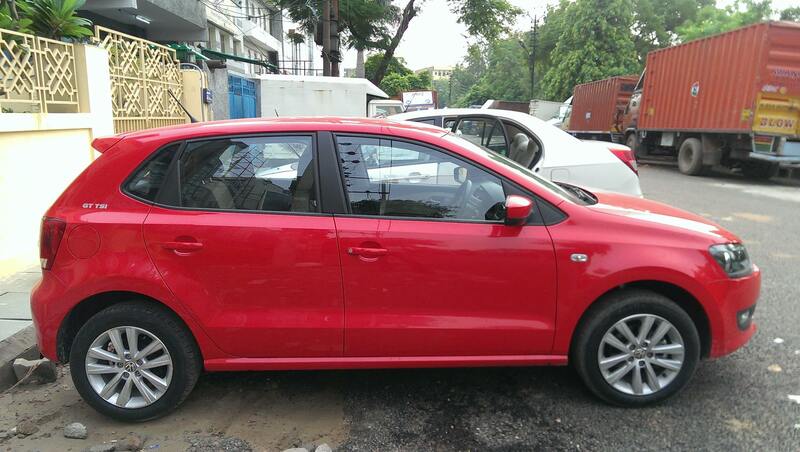 And at Rs 7.99 lakhs (ex-showroom Delhi), the VW Polo GT TSI is really testing your desire for a hot hatch. With the general perception favouring sedans as the better "value" proposition in this price band, the GT TSI is meant to appeal to a very specific demographic. I believe I am a part of that demographic, but unfortunately, the bank balance doesn’t stand beside me to support that claim!